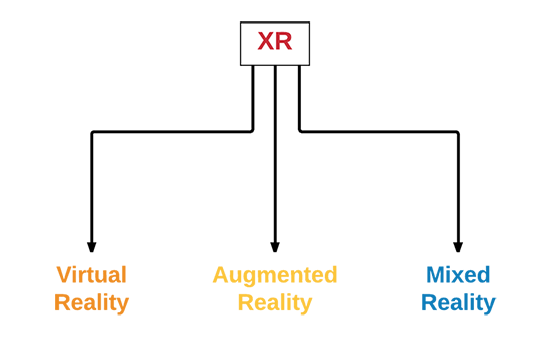 XR is an umbrella term, encompassing Virtual Reality (VR), Augmented Reality (AR) and Mixed Reality (MR) applications. Devices supporting these forms of interactive applications, can be referred to as XR devices. Virtual Reality (VR), Augmented Reality (AR) and Mixed Reality (MR) are fast-evolving fields. While VR, AR and MR applications have distinct challenges and characteristics they also share some core concepts. Unity XR aims to provide functionality for developers of VR, AR and MR applications across multiple platforms and form factors via a common API. This section provides important XR concepts, SDK and Input overviews along with quick starter and troubleshooting guides for all XR SDKs supported by Unity. Unity provides native support for Oculus, OpenVR, PlayStation VR, Gear VR, GoogleVR (Daydream and Cardboard), HoloLens and Windows Mixed Reality devices. Busque en la Unity Knowledge Base para consejos, trucos y resolución de problemas.